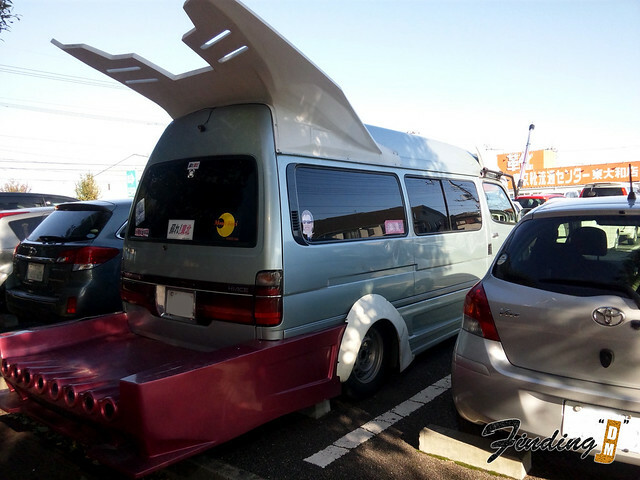 HomeSpotted !Some Bosozoku Van for you. 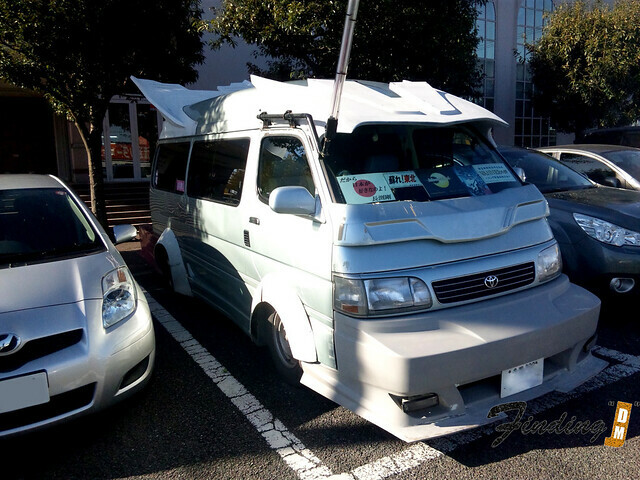 Here is a , looks to be, under construction Hiace Bosozoku van hard parking ! Not the most beautiful of Bosozoku vans to be seen ( if you could consider any of them appealing) but I spotted this one at the local Nitori while picking up some new carpet. Maybe he/she must have been also looking for household goods to spruce up the interior or possibly sizing up the back bumper for a portable Onsen (hot bath). These kinds of things make living in Japan more entertaining because you never know where one of these mammoths will get your attention like a slap with a frozen trout. Slightly less painful, the trout I mean. I will let all of my subscribers know about this and matbe they will spread the word about you! Very good! sweet looking hiace , i love these what ever stage of build they’re at, keep up the good work.